You can export the master data of your recipients any time. Within the recipient group you can export the current view at any time, regardless of which recipients are currently being displayed. 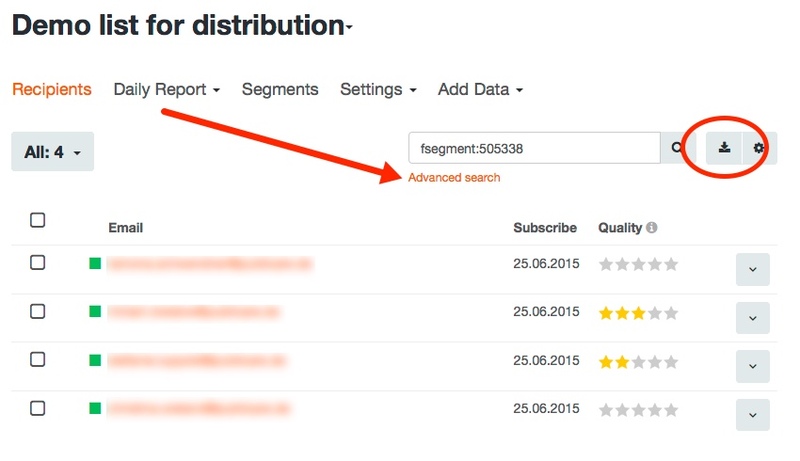 Click on the export icon when you are on the overview page for your recipient group. On the next page you can then select the font and the separator of the export file and then start the export by clicking on [Download]. If you are downloading a large file you do not need to stay on this page and wait for the results. After initiating an export you will receive an email with the link to download the file. The email will be sent to the address that corresponds with the user who initiated the export (see [My Account] > [User]). The file will be available for up to 24 hours. 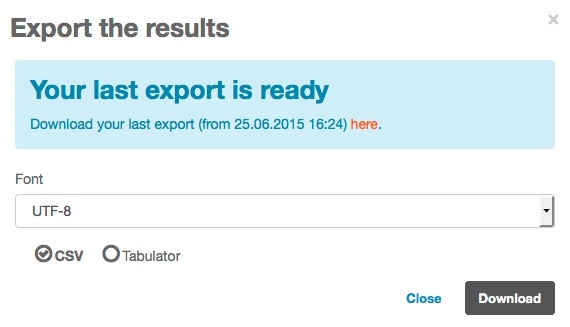 You can initiate a new export any time as long as there is not another export running at the same time.